Starting a text message marketing business has gotten a lot easier in recent months. There are several sms marketing companies out there that have created powerful text marketing software platforms and offer SMS reseller programs as well as SMS White Label Programs. If your just looking for a text message marketing platform so you can manage and send out text messages for your clients, signing up for the SMS reseller program option should be the best option for you and your new mobile marketing venture. If you want to brand the text marketing software, let your clients into the sms platform to manage their own texting campaigns, then you will want to look at the white label sms marketing programs. White Label basically means that you can BRAND the software so it appears to the general public to be your very own texting software. Lime Cellular is a technology company based in New York, New Jersey and Israel. They focuses on developing the software for their text message marketing platform, instead of selling directly to small businesses. Lime Cellular stands apart because they do not compete with their reseller or white label customers. They only sell to resellers, not to small businesses. This Lime Cellular review found that they provide everything that you need to sell text message marketing services. They provide you with more than the platform. You can get branded videos, sms marketing material, dashboards, billing support and more. Working with Lime Cellular is the equivalent of launching your own text message marketing company. The only difference and benefit to you is that you are able to marketing and sell the service without actually paying to develop the software. As a Lime Cellular Reseller you have total control over how you build your business. They let you price the services so that you can negotiate on the spot with your customers. This can be very beneficial for mobile marketing companies in the building stage. Additionally they provide white label clients with the option to sign up resellers under them. You can, in essence, become a full fledged text message marketing company immediately. 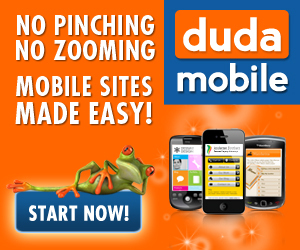 An added bonus of working with Lime Cellular is that they also offer mobile friendly websites. You can sell both services under their SMS platform. Our SMS marketing reseller reviews found that Trumpia has a plethora of options available to small businesses. As a reseller it is important to be able to offer clients the features they need to launch an effective text message marketing campaign. Tools like mobile coupons can have an instant impact on retailers and appointment reminders can help salons make even more money by properly utilizing staff. This Trumpia Review found that they also offer excellent integration with social media. They have widgets that connect with Facebook and Twitter so that you can use a text message marketing campaign as part of your overall social media strategy. This is important in increasing your ROI. Trumpia offers a true white label sms marketing program. You can fully brand the Trumpia sms platform so that it appears to your clients that you are the owner of the texting platform. The white label branding is comprehensive and includes the client interface, billing, support and every aspect of their sms software. If you’re looking for a white label text marketing solution, Trumpia should be part of your decision making process. Our text message marketing reviews consistently place Trumpia at the top. They have features that help any text message marketing campaign pop. They have a true all in one mobile marketing campaign that integrates text with voice, social media, chat and email. Mobile marketing Resellers can sell these services as a package or separately marketing the text and email marketing features. This provides flexibility in who you market to and how. Starting a text message marketing reseller business is an easy decision to make. The SMS software is already in place. Lime Cellular and Trumpia have put everything in place so that you can easily expand your new text marketing business into the text and email marketing space. Since you don’t have to spend anything on product development you can focus resources on growing your team and customer outreach. Our SMS marketing reseller reviews highly recommend you start making money today by signing up with either Lime Cellular or Trumpia. Use the links above to Sign Up for FREE Trials at both Lime Cellular & Trumpia. Review the 2 SMS Software Platforms for yourself. Contact a representative from both Trumpia and Lime Cellular to answer your more specific questions. Choose the texting provider that is a best fit for your situation. Launch your new Text Message Marketing Business! I have learned a lot about mobile marketing in the last few weeks but today I have read a lot of blogs about mobile marketing and I am looking forward to putting some of what I have learned into effect as soon as possible. You have a great blog here and I look forward to your updates so keep up the good work and keep the info coming. Steven – It sounds like your doing some research. If your considering starting an SMS marketing business, you are going to need a text marketing reseller program to sign up with. What i would suggest is to click the links above in this post, and sign up for their free trials. This will give you the ability to review their text message marketing software and determine which sms reseller program might be a fit for your situation. I don’t know about most people but I don’t want a bunch of advertising taking place on my mobile phone. Have they researched this to see if it will cost against the customer? If it does that would be a huge problem and I hope that they will rethink this idea. Thank you for posting this information I will keep an eye open for it. Ralph – Thanks for your comment. Please understand that text message marketing is permission based marketing. This means that you are texting people that specifically opted into your text message marketing campaign. These people can also opt out of your texting campaign at anytime. So to answer your question, a lot of thought was put into text message marketing reseller programs to be assured that the resellers are following all the guidelines and laws. I am learning daily that I don’t know as much about mobile devices as I thought I did and your blog confirmed it for me today. You have done a great sms reseller review here and the more I read the more I have decided that I need to get some training on this sort of thing. Do you know of anyone that offers online classes about this stuff? We have a detailed video training course on mobile marketing. Check out the links on this page to sign up for Free! You have some really good Text Reseller reviews here that it must have taken a while to collect, thank you for doing this I look forward to the next time you post to see if you have gotten any new reviews or not. I am looking into this because I just got a new phone that gives me all kind of options about texting and things so I will keep in touch. Thanks for your comment! We are always on the lookout for text message marketing companies to review and we believe that we are recommending the best sms reseller options available today!